Is Web-based school management software or Cloud-based school management software the right fit for you? Simply put, school management software is a tool or a platform that helps schools better implement all of the processes that make up the running of a school. While it is best suited for taking up administrative tasks, school management software is beneficial to a variety of stakeholders. Parents can use school management software for a variety of purposes, from tracking the academic progress of their child in the class to receiving live updates about their location while commuting between school and home using school transport. Teachers are able to use school management software to better administer their classes and also improve communication with other stakeholders like parents and students to ensure that work is goal oriented. Administers are able to reduce the labor required of them by automating numerous repetitive and rules-driven processes using the school management software. Management also benefits from the use of school management software – the reduced labor and overhead costs will positively impact the bottom line. 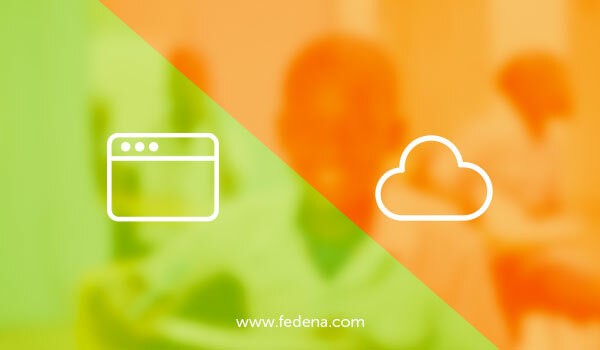 Did You Know: 40,000+ Schools and colleges are using Fedena School Management Software. What is Web Based School Management Software? A web-based school management software is a type of school management software that runs in your native browser, used to browse the world wide web. This type of school management software requires a working and active internet connection to work since all the actions are done over this internet connection. A web-based school management software can also be a client-based software that is installed on the desktop but only operates over the internet using an external server. Web-based school management software is usually a classic application – most early school management software was web-based school management software. What are the advantages of web-based school management software? Web-based school management software can be accessed from anywhere that has an internet connection. This means the web-based school management software can be accessed and used from a mobile phone, a tab, a laptop, a desktop or any device that is connected to the internet. There is no need to download any special app or plugin in order to be able to use web-based school management software. It can be accessed through a simple, pre-existing world wide web browser. All information that is being used and processed within the web-based school management software is stored within this school management software itself. This information would include everything from administrative processes to student information to live to track of the school bus or school transport for students commuting from school to home and vice versa. Easy, one window accessibility of information is important for efficient and easy decisions making for all users of the web-based school management software. Unlike generic school management software, web based school management software is often way more user-oriented. This is through a variety of ways, but often, web-based school management software will offer different user experiences or user interfaces for each stakeholder in the educational ecosystem, including parents, teachers or educators, management, administrative staff, non-education staff, and students. The web-based school management software may not contain all these profiles – instead they can often be customized to suit each educational institution’s specific needs. For most stakeholders, including those who were not born into using technology in their schools and workplaces, a web-based school management software is still more familiar than other apps or platforms. A large portion of employees at educational institutions is used to and comfortable with the use of their native web browsers. This means that less time and effort and funds will be spent to onboard users of a web-based school management software, resulting in faster understanding and use of the web-based school management software. What is Cloud Based School Management Software? A cloud-based school management software relies on data stored in the cloud to operate or function. Unlike web-based school management software, cloud-based school management software can be used even without an active internet connection in offline mode. It is also more responsive to user interactions and has faster processing time, since information has to merely be retrieved from the cloud, instead of over an internet connection. Cloud-based school management software is seen as more modern and cutting edge in terms of technology, especially when compared with web-based school management software. 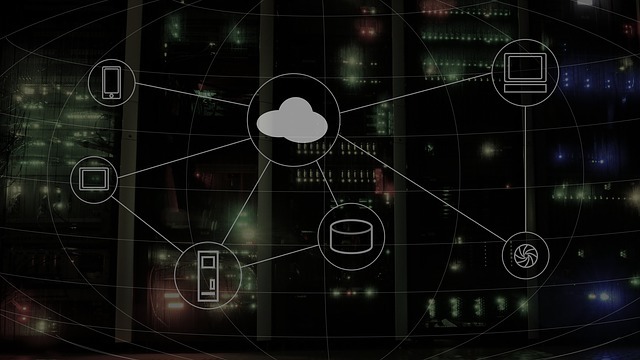 This is due to the kind of technology it uses, where information is stored in the cloud, instead of being retrieved from external servers using an internet connection. In many ways, cloud-based school management software is an evolution of web-based school management software. This means that cloud-based school management software can also be seen as a combination of web-based school management software and traditional desktop-based applications. 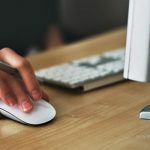 This is why a lot of the features in cloud-based school management software will seem familiar to web-based school management software users. What are the advantages of Cloud-Based School Management Software? All the data that is captured or stored in cloud-based school management software is actually cached locally, making it possible for the cloud-based school management software to be used comprehensively in offline mode. This is especially useful for educational institutions that are present in far-flung places or in places with unstable infrastructures, such as patchy internet connectivity or extensive load shedding. Cloud-based school management software is thus friendlier to a diverse range of schools. Unlike a web-based school management software, all data is stored in a cloud or cloud-like infrastructure with the cloud-based school management software. This means easier and more reliable accessibility that does not rely on numerous other moving parts in order to access your data. It also means that your data is available offline since an internet connection is not required to access data in a cloud-based school management software. This is also helpful when working with other applications or tools that use cloud-based data storage – your cloud-based school management software functions seamlessly and flawlessly with these allied applications. Unlike web-based school management software, cloud-based school management software is inherently scalable. This means that as your educational institution goes, so do the capabilities of your cloud-based school management software. This is especially useful for a growing school that is seeking to invest in technology that would keep pace with them – cloud-based school management software is built to be flexible and accommodating to a school’s growing and changing needs. Unlike a web-based school management software, cloud-based school management software distributes the data it is storing across multiple data storage center. This means that if any data loss occurs, the impact of such a loss is mitigated with a cloud-based school management software. This is especially useful in times where data is king – the safe storage and protection of sensitive school data is an important factor for any educational institution to keep in mind when considering web-based school management software versus cloud-based school management software.